Our vision was to create a romantic and airy shoot. We were inspired by the minimalism and raw natural beauty that nature has to offer. The day of the shoot, the weather was mostly overcast, which was the perfect backdrop to the soft and romantic feel we wanted to portray. There's just something about the way the sun filters through the clouds that creates this natural filter. Everything that we chose for this shoot, from the bride's ivory almost transparent skin, the simple and yet breathtakingly gorgeous dress, to the organic qualities of the bouquet and centrepieces perfectly captured the feel of this early Spring elopement. 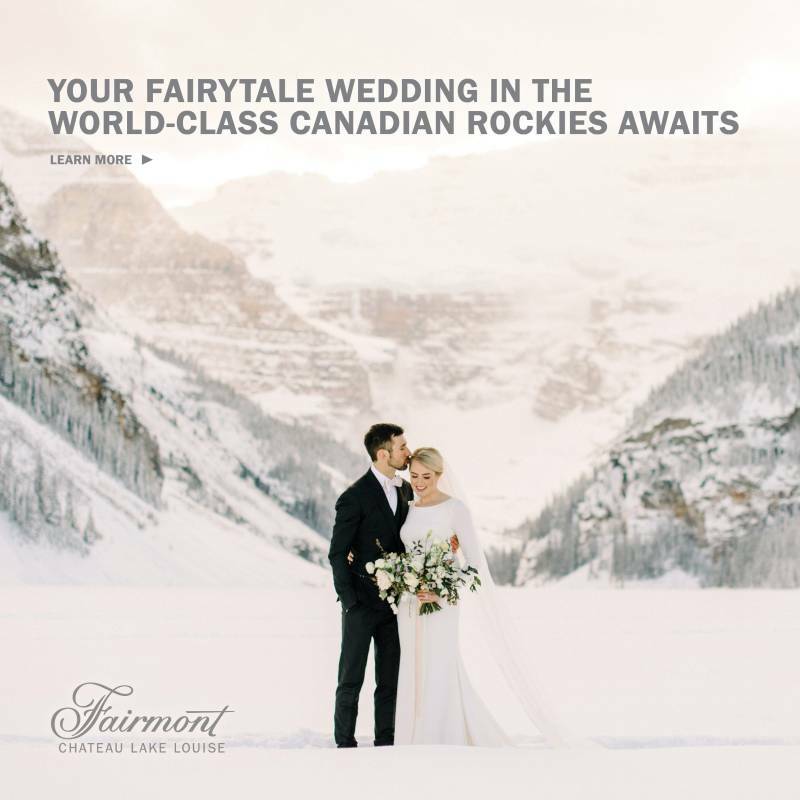 Spring can be a forgotten season for brides, with the ground still covered in snow and the idea of a lush green summer just around the corner. We wanted to show brides how beautiful, fresh and full of life the mountains are in the spring. Spring is about new beginnings, when is a better time to start a new chapter with the love of your life. Photographer Katelyn Anne Photography/ Florist Fall for Florals/ Planning Beloved by Ania/ Calligraphy Debbie Wong Design/ Dress Henley by Chantel Lauren/ Dress Shop Pearl & Dot/ Models Jerrie Ambrus & Troy DeAzevedo/ Cake Cake Bake Shoppe/ Hair Stylist & Makeup Artist Katie Kerr/ Rentals Orange Trunk Vintage Styling & Rentals/ Rentals Gathered Table Supply Co.